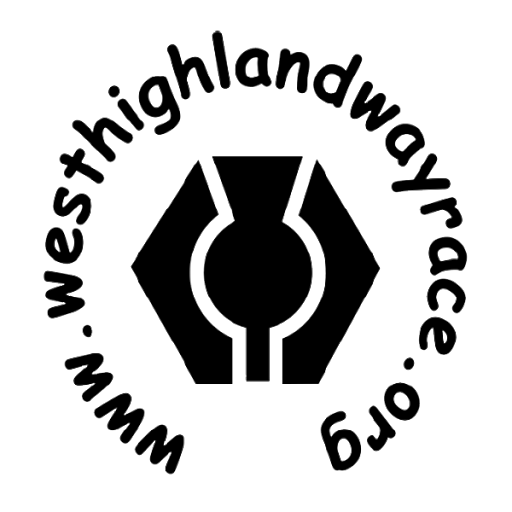 The West Highland Way Race starts at Milngavie Railway Station (7 miles north of Glasgow) at 1 a.m. on Saturday 22nd June 2019. Competitors are required to run, jog or walk along the West Highland Way route to the Nevis Centre in Fort William, finishing no later than noon on the Sunday 23rd June 2019, i.e. within a time limit of 35 hours. The 95 mile race includes 14,760ft of ascent. The Race is a 5 Point UTMB Qualifying Race. Along the route you are required to pass through checkpoints within specified time limits. In order to participate you must have your own motorised backup, consisting of at least two people, one of which must be capable of covering the last two sections with you (or find you) if assistance is required or during the hours of darkness. You must also have adequate relevant experience to take part in an event of this nature. Rob Sinclair (2017 - 13:41:08) and Lucy Colquhoun (2007 - 17:16:20) hold the course records. Registration takes place on Friday 21 June 2019 between 9.00pm and 12.00 midnight at St Joseph’s RC Church Hall in Milngavie. The church hall is located across the road from Milngavie Station, where the race starts. At registration you will be given your race number, which will also be your timing device to be used at each checkpoint throughout the race, and a numbered race band which should be worn until you finish or withdraw. All runners will be required to show photographic ID to collect their race number. You will be given your goody bag and any merchandise you have purchased, and be given support crew parking permits for the Beinglas Farm and Auchtertyre checkpoints, and for the finish. You will be weighed and given your weighing card, which will need to be produced later at the weigh-in stations at Auchtertyre, Kinlochleven and Fort William. At least one member of your support crew is required to accompany you at registration. Race numbers will be posted on the website a few days before the race. You will be given the opportunity to request a special race number when the final instructions are sent out in May. The race will start at exactly 1.00am on Saturday 22 June from the start of the West Highland Way, at the bridge beside Milngavie station. There will be a facility for runners to leave dropbags for Rowardennan and Inversnaid (and possibly Beinglas Farm – this will be confirmed nearer to the race date). Please ensure these drop bags are clearly marked with your race number, and take them to the marked vehicle at the start at Milngavie Station. It will not be possible to return the contents of any drop bag to you after the race. Noise at the finish in Fort William can also cause problems during the night-time hours. Again we would ask you to respect the local residents who do not wish to be disturbed. This year we will again be using an alternative route in to Kinlochleven. On reaching the bottom of the water pipe, runners should take the route past Blackwater Hostel and Campsite, pass the Ice Factor, turn right at reaching the main road, and head in to the checkpoint at the Leven Centre. This will be well signposted. Note: all comments about Beinglas Farm checkpoint are subject to confirmation. The arrangements in this area may change prior to race day. Parking in the area between the top of Loch Lomond and Crianlarich is very limited, and we have had problems in previous races with businesses and landowners in that area. This year we are hoping once again to have access to Beinglas Farm. This is an official checkpoint and all crews are required to meet their runner there. Parking space is very restricted, however and only one support vehicle per runner is permitted to access the checkpoint. The parking permit which was issued at registration will need to be shown to gain access to the checkpoint. Please note that access to Beinglas Farm will only be available from 7.00am onwards - do not attempt to access Beinglas Farm before this time. It is a condition of entry that all runners must have motorised back up for the full duration of the event. Up until Auchtertyre you need at least one crew member, and from Auchtertyre onwards you need a crew of at least two people, one of whom must be capable of accompanying you during the last two stages if required. You are required to provided details of your support crew by completing details and e-mailing it to ianbeattie@westhighlandwayrace.org. This form will be issued in May and needs to be completed and submitted by 1 June. You will not be allowed to take part in the event unless these details have been provided. Please submit your details using this form and not by any other way: it makes it much easier for the organising team to access the information if required on race day. The Support Crew must meet their runner at each Checkpoint, and must be present at the start. It is the Support Crew's responsibility to ensure your safety between Checkpoints, and they must be prepared to look for you if you do not check in at a Checkpoint. Many of the roads on the route are narrow and not suitable for a large campervan / motorhome type of vehicle. For that reason large campervans / motorhomes are not permitted as support vehicles. We reserve the right to withdraw any competitor whose support crew or support vehicle are causing serious problems for the smooth operation of the race. There is a new finish this year. It will be at the Nevis Centre in the centre of Fort William (the venue where the prizegiving has taken place for a number of years). The Nevis Centre is about half a mile beyond Lochaber Leisure Centre, after the railway station, Morrisons and the bus station. The route in to the finish will be clearly marked. At the finish your time will be taken and you will be weighed. Showers are available for runners and crew (this will be badly needed! ), along with tea and coffee. All runners will receive a Ronhill race garment and a buff in their goody bag. Additional race merchandise for yourself or as a ‘thank you’ for your support crew will be available for purchase. Details of what is available and how to place an order will be e-mailed to entrants. The prizegiving will take place in the Nevis Centre, Fort William at 12 noon on Sunday 23 June. Please try and attend – it is a great occasion where every finisher is presented with his or her hard earned goblet, and helps continue the great ‘family’ feel of the event. If you are unable to attend, please let a marshal at the finish know and we will arrange for you to take your goblet away with you. For those staying in Fort William, there will be the chance to meet up for drinks and some food on the Sunday evening. This is an informal gathering and all are welcome – it will take place from 7pm in The Great Glen, 104 High Street, Fort William. The entry procedure for the 2020 race will be similar to this year, with entries open throughout November 2019.